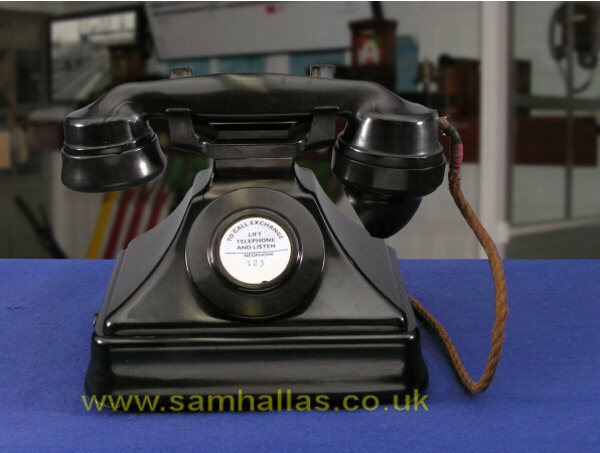 Phenolic resin - Bakelite - was the material of choice for telephone cases from about the 1920s to the 50s. 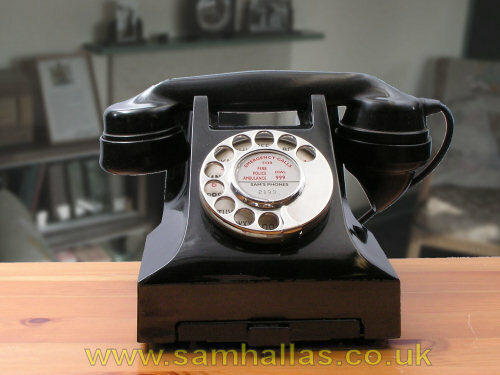 The resin is mixed with pigment - carbon black for telephones - and filler - china clay or even sawdust - before moulding. It moulds cleanly with a good surface finish, has high electrical resistance, is impervious to water, chemical and heat resistant but has the disadvantage of being brittle. 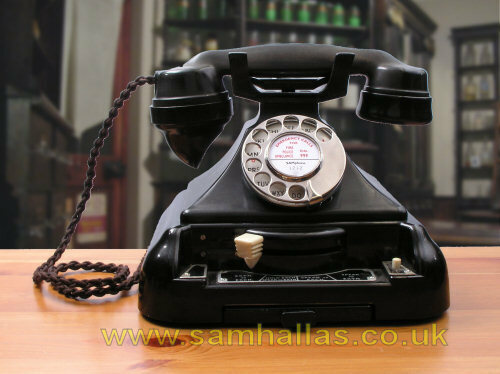 More information at "It's Bakelite, you know!". 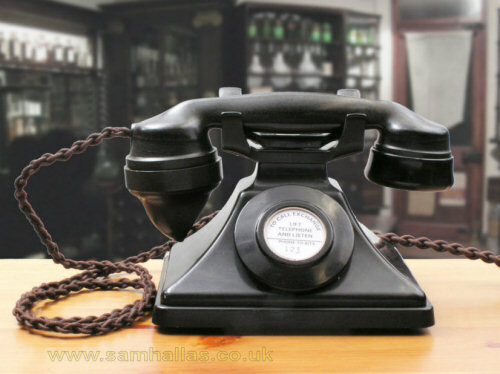 As I write Bakelite has been through a phase of being fashionable with collectors - anything: inkwells, cameras, valve radios, telephones..... Maybe the fad will pass, though I suspect not quickly. 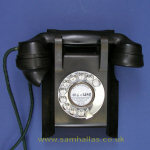 Telephones were mostly made in black. Coloured versions are less common and consequently fetch higher prices at market, though in my opinion have no additional merit over their black counterparts. First we have some standard BPO models. 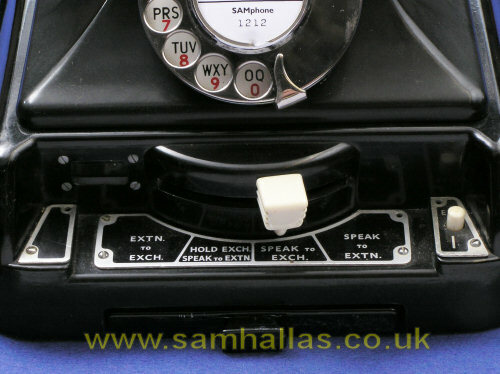 The Siemens Neophone was actually the forerunner to the 162 and 232 above, but this is a slightly later model sitting on its own bellset. The circuitry is as for the 232 including the anti-sidetone transformer in the telephone case. The bell set contains the bell, a capacitor and terminal block only. The desk cord comes out of the hole in the bellset case on the left. 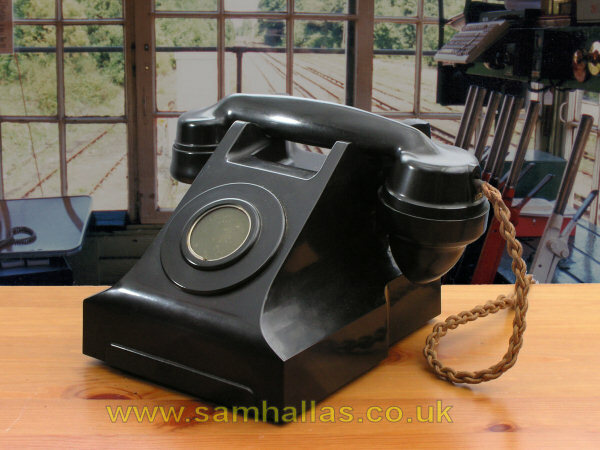 Siemens telephones were common on the Southern Region of British Railways which is probably where this one came from. 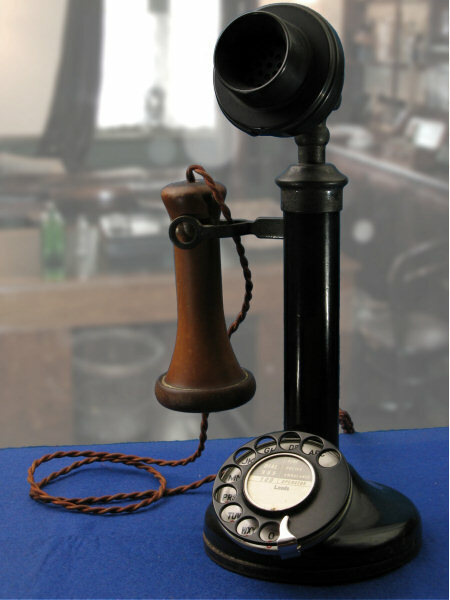 Telephone 332 was the workhorse of the British Post Office for many years from the 1930s to the 1950s. The version with the dial for use on automatic exchanges was designated Auto. 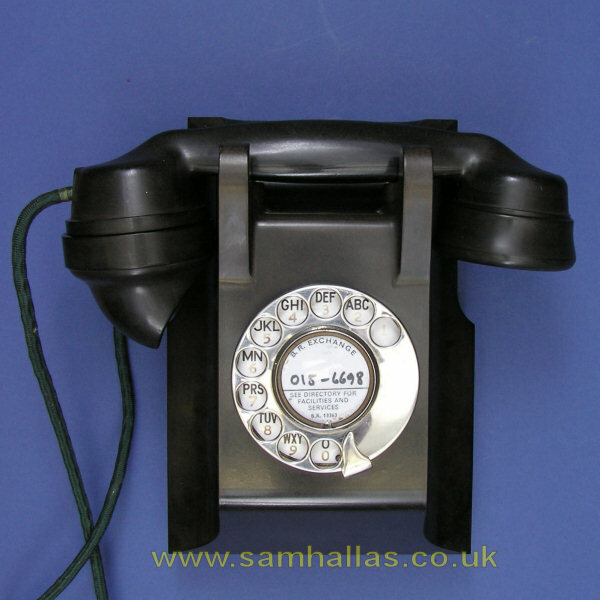 This model has a straight plastic handset cord which was used as a replacement for the plaited cords in later years. The version without dial was called CB for Central Battery. The handset has Ericsson Telephones ETL logo showing that it was probably in private use and not BPO issue. 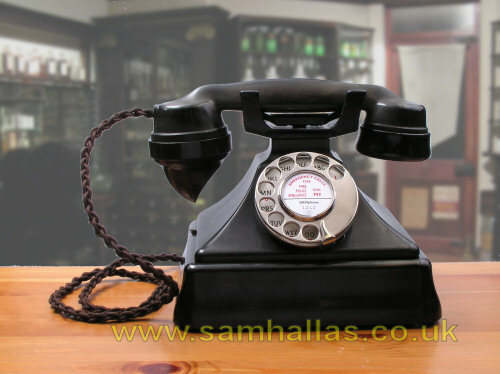 Both handset and line cords are plaited. See the information on the Ericsson N1365. This model has been fitted with a magneto in place of a dial. It has a braided handset cord instead of the more usual plaited cord. This one was probably used for point-to-point working on the railway. Again the ETL handset suggests it is an Ericsson model, but it differs from others in their catalogue which have their magneto handle at the side. 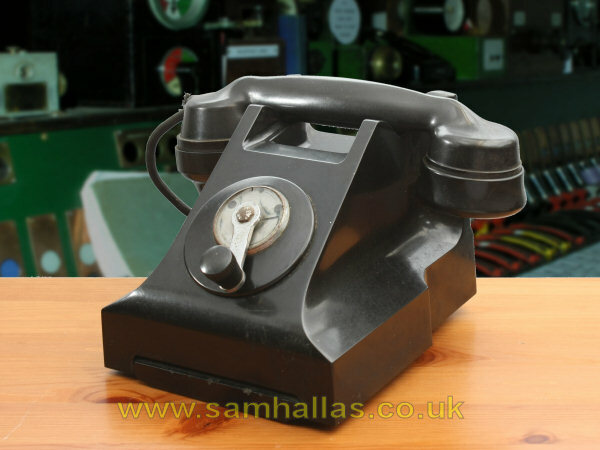 Another telephone that saw service on the railway is this wall model from Ericsson. 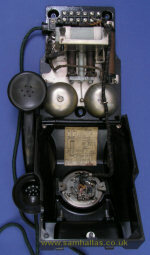 This Telephone N1070 was rescued from an abandoned site on the underground following takeover by BR. The front hinges down to allow access to the works for wiring and maintenance preventing the top from falling off and breaking. Another clever piece of design is that the circuitry is contained on a separate chassis which can be removed whilst leaving the base plate still fixed to the wall. The dial No 10 is fixed rather unconventionally by the side pieces. Its connecting cable is very elegant for a piece of internal wiring, having a braided outer sheath. 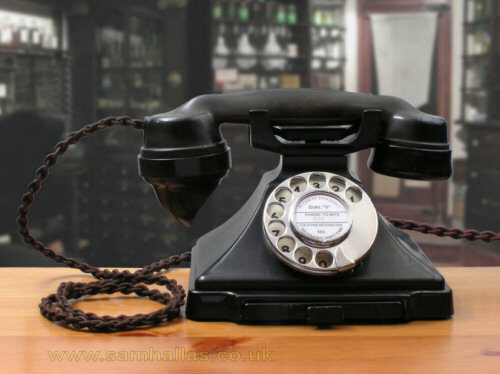 The 1950s saw renewed interest in improving the design of telephones, both from an aesthetic point and to improve transmission characteristics. The GEC below was the precursor of the 700 series of transmission circuits, though still housed in a bakelite case. See article in the Repository.